The British Wool 2000 Pocket Softer Mattress from Rest Assured. The first word in comfort and support, this innovative mattress combines traditional manufacturing techniques with modern pocket spring technology to create a mattress that is soft, dreamy and supportive. Using wool from prized British Cheviot sheep, the cushioned top both insulates and envelops the body for a perfect night’s sleep. 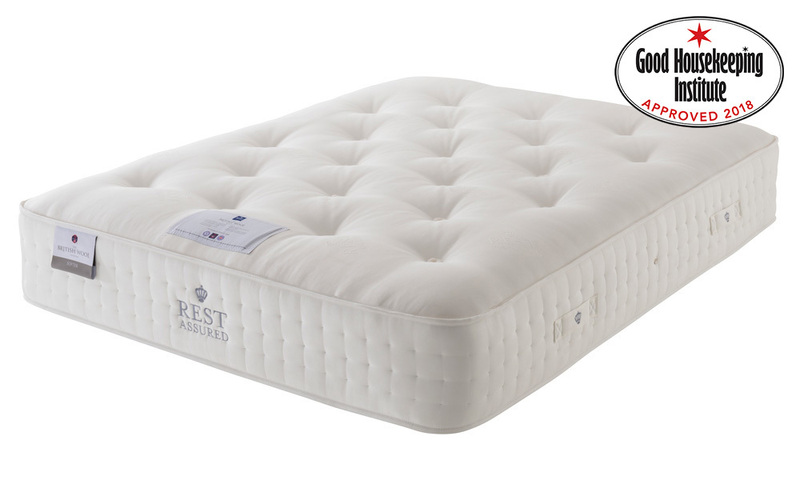 This mattress carries approval ratings from both the Good Housekeeping Institute and Allergy UK and is cosy and soft.